AUC3 displays the contents of lesson plan column 3 from the S-Sheets plus the student’s running scores for semesters 1 and 2. 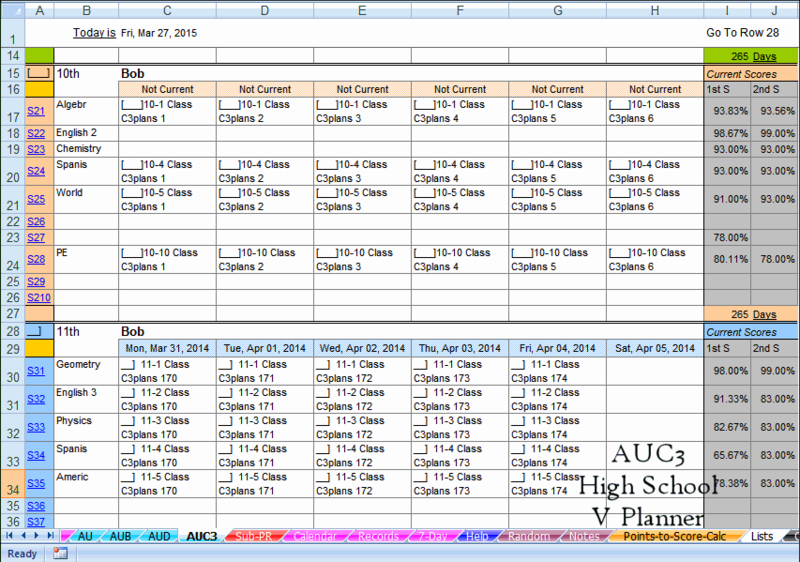 It is controlled by AU lesson planner and once the date is set at AU, AUC3 is complete. AUC3’s most logical purpose is to serve as your teacher’s planner. To do that, you would enter your teacher’s notes in the 3rd lesson plan column while entering the student’s plans in columns 1 and 2 that is at the s-sheets. 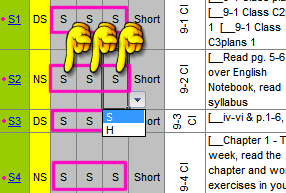 THEN, you’d hide column 3 from the student’s lesson planners using the show/hide (S/H) drop-down list that is at each of the lesson planners. Certainly, using AUC3 is optional, but it is here is you need it. If printing, be sure to check print preview before printing.